For Amtrak Routes, charter buses, vacation packages, and cost-cutting travel strategies anywhere in America, visit the links shown below. Or scan this page for trip packages, vacation deals, and other travel discounts in the state of Pennsylvania. Pennsylvania offers a wide range of cozy accommodations, a wealth of panoramic views, exciting annual events, and countless statewide attractions. While you're there, be sure to sample some authentic Pennsylvania Cuisine. 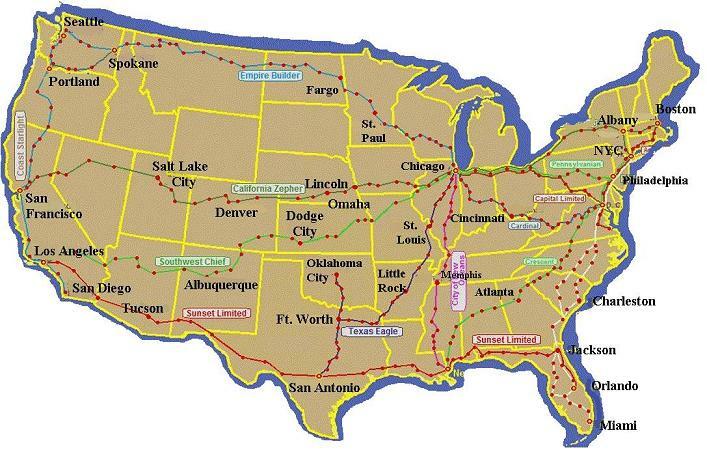 Shown below is a map of Amtrak Routes across America. The cheapest rates on flights to Pennsylvania usually involve landing in Pittsburgh, Philadelphia, or New York City. Many Pennsylvania towns and cities are accessible from these points via ground transportation. A round trip ticket from Los Angeles to Philadelphia can cost less than $225, especially during off season times. 1. Visit priceline.com. Search your desired dates and locations, then select the "Name Your Own Price" option. Doing this can slash as much as 40% off the price of your flight, and as much as 60% off the cost of your overnight lodging accommodations. Be aware that certain rules apply to naming your own price on Priceline. For example, you must accept a fixed itinerary, and no part of your payment can be refunded. Other restrictions may also apply. 2. Make all your travel arrangements online. 3. Book your trip at least two weeks in advance. 4. Search for low-cost points of arrival and departure. Some cities are cheaper to fly to than others. 5. Remain flexible regarding your dates and times of travel. and many dozen more. For a Complete List of Greyhound Locations, visit the link shown below. Amtrak passenger train service is widely available throughout the state. For a Complete List of Amtrak routes and locations, visit the link shown below. Check Amtrak's website for maps, discount deals, special offers and other information. Here is a list of the top 5 things to do in the state of Pennsylvania. Also included are city locations and contact info. 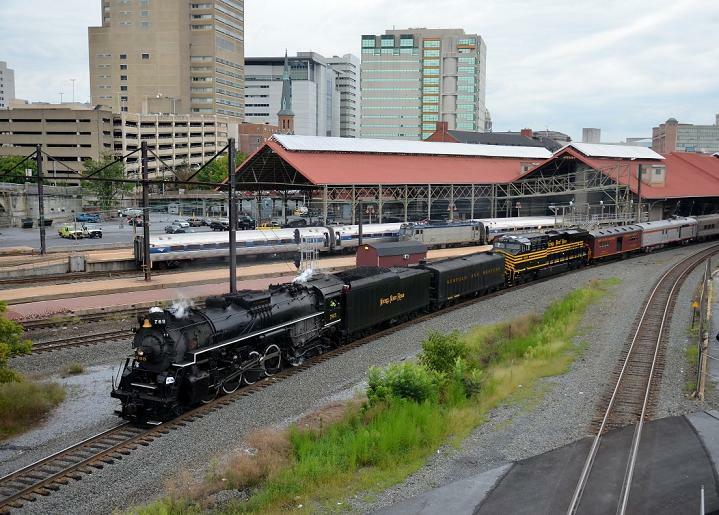 These Pennsylvania attractions have been chosen by a panel of travel experts at USLearning.net for their cultural, educational, and entertainment value.